Hey everybody! Happy Thursday! 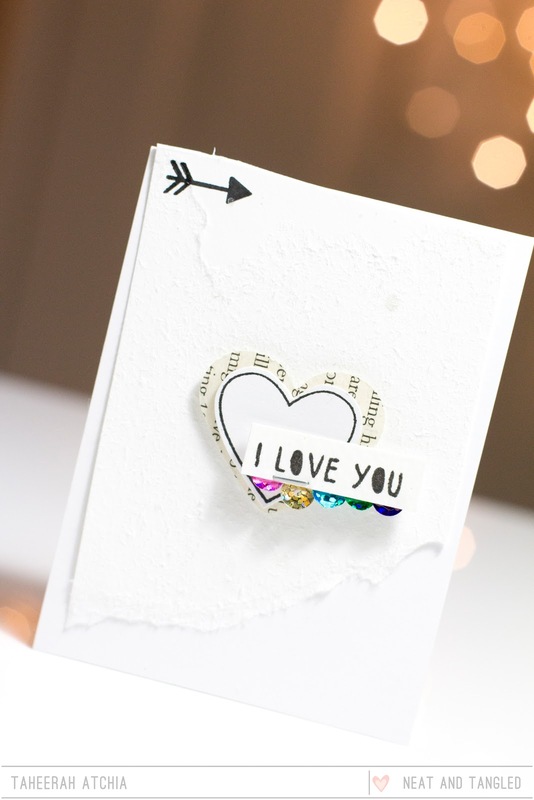 It's Taheerah here with you today to share a card! Sometimes you just can't go wrong with a Clean And Simple design! And just because it's a CAS design it doesn't mean you can't add interest in other ways! Today's card also helps stretch those stamps just a little too! I started with a white card base and added a panel of cardstock that I wet then peeled a layer off to give a rough texture. I used one of the arrows on the My Favorite stamp to add some interest in the top corner. It's also hard to see in the photo but I flicked on some shine mist too just for some added interest! 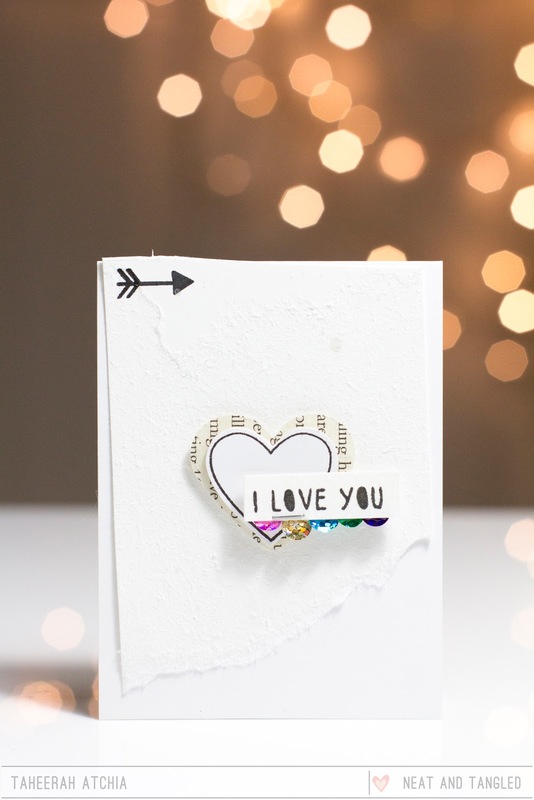 I added a paper heart die cut from a vintage book, then layered on top of it a heart stamped on white cardstock from the Sunday School Songs set. I added the sentiment from one of my all-time favourite sets, Gifts For You, accented with some awesome sequins from the Birthday Bash Sequin Assortment and I was all done! I hope this card brought some fun to your day! Thanks for stopping by! A lovely card! I like all the texture etc going on in the background too. 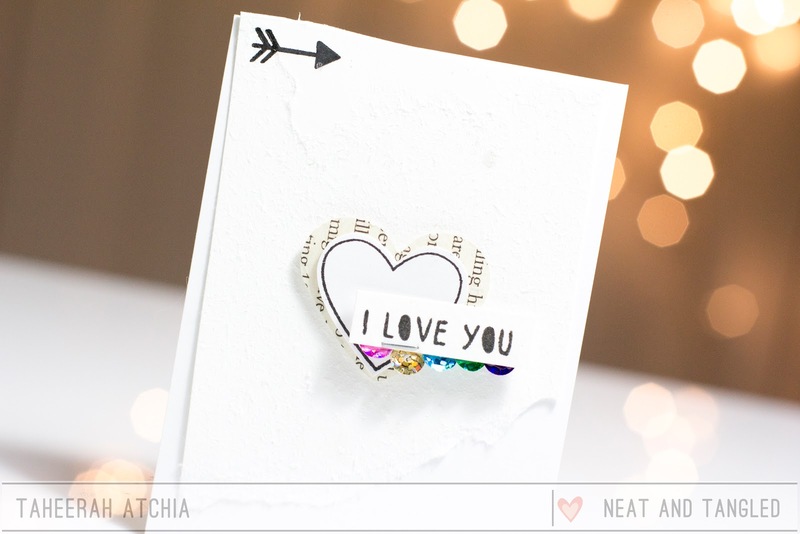 Such a cute and simple card! What a super fun card Taheerah! YES this is amazing and stunning card! I love Taheerah's artworks, always inspiring! Yes, I love this one too!